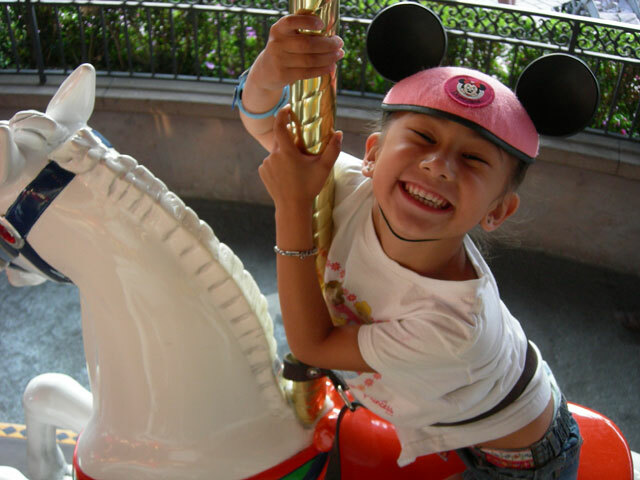 Planning Your Child's First Trip To Disneyland! 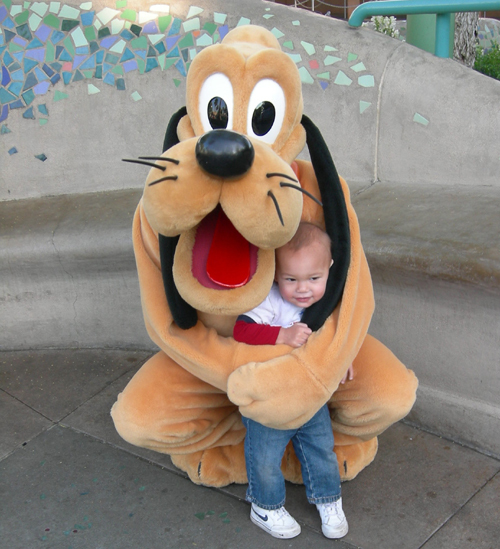 You are here: Home / Theme Parks / OC Theme Parks / Disneyland / First Visit To Disneyland / Planning Your Child’s First Trip To Disneyland! 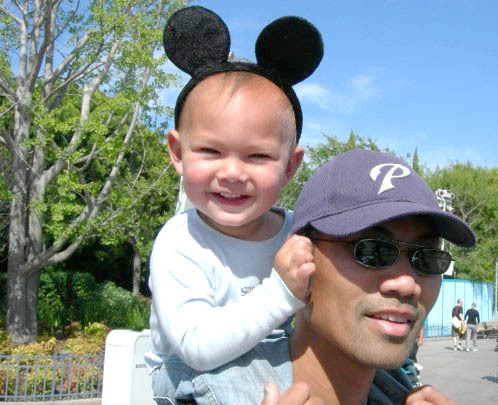 The first time we took our daughter to Disneyland, she was almost two years old. I did what I call Disneyland Bootcamp at our house for a couple of weeks, and watched just about every Disney movie with her prior to our trip. I wanted her to be familiar with as many characters as possible, hoping to make a connection with the ones she’d see at the Parks. By the time we had babies 2 & 3, they each made their first visit to Disneyland at only 2 weeks old, but that’s another post for a future date! I planned ahead, thinking about what rides we should take her on, and which attractions we should visit with her. Since she was very young, I knew there was a very good chance she’d tire at some point, and want to take a nap. I gave thought as to which areas or restaurants we could visit with her asleep in the jogger, instead of just sitting around waiting for her to wake. Decide if you want to stay at an area hotel, or if you’re close enough to drive there for the day. Think about the time it takes to get to the Resort, and consider the amount of time it will take to get to and from the Parks if you’re parking at the parking structure. The first time we took our daughter we stayed at The Disneyland Hotel, and visited the Parks for three days. It was very convenient to go to and from the hotel to Downtown Disney, and the Parks. Arrive early if you’re planning on making it an entire day visit, and take into consideration that there’s a lot to see and do at both Disneyland and Disney California Adventure, and plan accordingly. Personally, for a first visit, I’d only plan on visiting one Park per day. Decide what ticket option is best for you in advance. Will a Hopper Ticket be best, or would it make sense for you to buy an Annual Pass? Think about what you want to pack for your visit. Possibly bring a change of clothes, hats, and have everyone wear comfortable walking shoes. 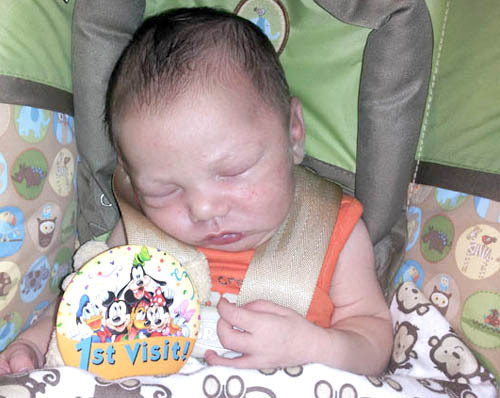 Depending upon the age of your child, consider that you may want to either bring a stroller, or rent one at the Resort. 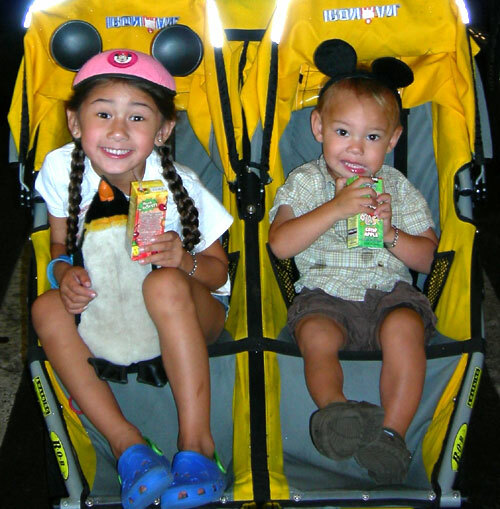 If your child is young, a stroller might be extremely helpful to keep them from getting cranking when exhausted, and it’s also great to stow away extra jackets, etc… I wouldn’t consider going there without one until my kids are at least 5+! 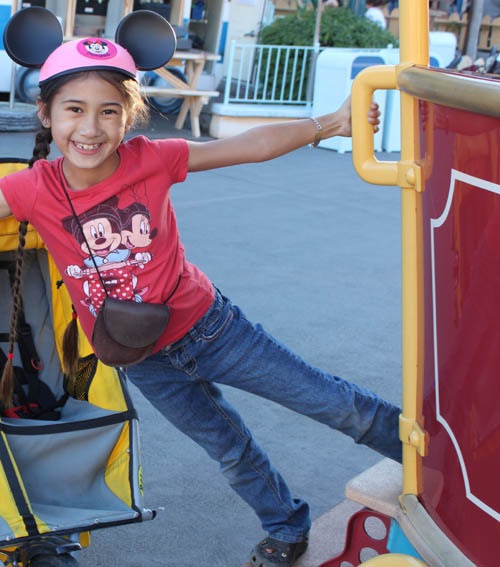 Read Our Other Awesome Post About Disneyland With More TIPS! We also highly recommend you read our other post, Disneyland Resort Planning Tips, which is jam-packed with more tips on visiting The Disneyland Resort. The Disneyland Website has a really helpful Attraction area, including the choice of searching for rides and more by interest, age, and height requirements. We love Disneyland, and were Annual Passholders for many years. Perhaps we’ll see you there!